To “paraphrase” something (usually a written or spoken passage) means to re-write it using different vocabulary, phrases, and structures than the original, while keeping the same information and meaning. 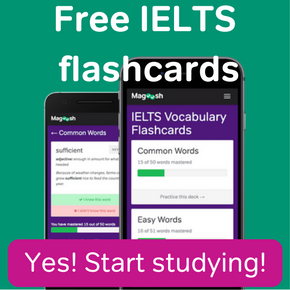 This ability is essential for the IELTS exam! So if you’re planning on taking the IELTS, it’s time to start sharpening up you paraphrasing skills. Being able to paraphrase is extremely useful for IELTS Speaking — but it’s even more important for the IELTS Writing section. Paraphrasing shows that you really understand a question, and are not just copying it word for word into your answer. Re-writing something in your own words can be difficult at first, but our IELTS expert is here to help you become a whiz at IELTS paraphrasing. What Will I See in the IELTS Paraphrasing Task 2 Video? In this free 5-minute IELTS Paraphrasing video, our IELTS expert Eliot will walk you through how to make high scoring paraphrases, using information you are likely to see in an IELTS Academic Task 2 prompt. The video begins with a brief introduction, after which Eliot will walk you through how to use paraphrasing skills to write good introductions for a IELTS Task 2 essay prompt. The Task 2 essay is worth two thirds of the points for your writing score the IELTS, so it’s a very important piece of the exam. Since you will only be given a total of 40 minutes to complete Task 2, learning how to quickly write a strong task 2 introduction can save you some precious time! Hi, I’m Eliot the IELTS expert from Magoosh, and today we have a little bit of a challenge for you. By the end of this presentation here, we’re going to ask you to write a comment below where you can submit an answer to a question we’re going to pose to you. And we’re gonna offer to evaluate that, to give you some feedback on it, okay? So what we’re thinking about in this assignment that we have for you is task 2 essays and how to write good introductions for a task 2 essay prompt. Okay, so what goes into a good introduction? Well, there are two basic parts you always need to have in a good IELTS task 2 introduction. 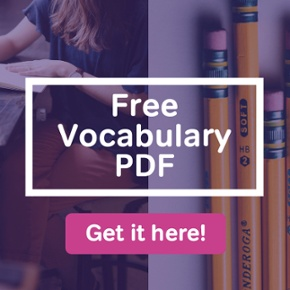 First, you need to introduce the topic of the essay to your reader, all right? So it has to be very clear what the essay’s going to be about. And then you have to write a thesis statement where you give your perspective on that topic. You sort of give your opinion, if an opinion is required, or at least your perspective. What do you think about the topic that’s been posed to you in your task 2 question? This is difficult to do, and many of my students have trouble doing it, probably for a lot of reasons. One is that there’s a lot of pressure on your task 2 essay, right? 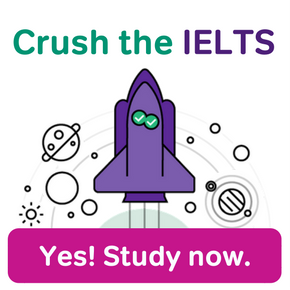 It’s worth two thirds of the points for your writing score the IELTS, so that’s a lot of pressure right there, but also time is so limited, right? You only have 40 minutes to write your task 2 essay, so you don’t have much time to brainstorm. It’s very important to get really good at writing these task 2 introductions, to get started on your essay so that you can save time. And that you have enough time to write your body paragraphs then, and hit your word minimum for your task 2 essay. So the skill we’re working on to do this is to do a really good job of paraphrasing the language from the prompt, translating the language into your own introduction. So what we’re going to do in the assignment that we’re gonna give you here on this video, I’m gonna pose a question for you, a sample task 2 question. And what I want you to do is to do your best to use your own words to paraphrase the language from the prompt and write your own task 2 introduction for the question that we’ve posed. Okay, so you can see the question that we’re gonna be thinking about is, if you could change your home town to make it a better place, what changes would you make? How would these changes improve your home town? 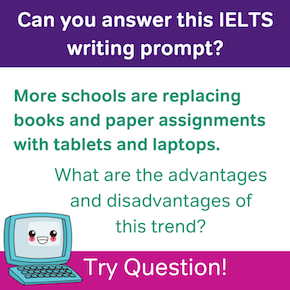 This is a sample IELTS task 2 question that’s what I call a thematic question, there are a few questions that they ask you in a row and you need to answer all of them in your essay. So this is a challenging type to answer. What you should do as you think about writing your introduction is to make sure you focus on what is the topic. How can I explain what the topic of this essay is going to be? In just a couple of words, we could say the topic is about your hometown, or making improvements on your hometown. Well, put that into your own language as you begin your introduction. And then your thesis statement should come next, okay, so what’s your thesis going to be for this essay type? Well, the specific improvements you plan to make to your hometown to make it better would be the thing to focus on in your thesis. So think about those things, brainstorm, what are you going to propose are the changes you could make to your hometown to make them better? Those specific things should be in your thesis. So I want you to try this out okay? I want you to think about the question, sit down, pretend you’re about to write a task 2 essay, and then go ahead and write that introduction only. And put it in the comments below this video and we will give you feedback, let you know how you did and what could be improved in your task 2 introduction. So do your best and I look forward to seeing what you come up with for this and, we’ll give you some responses about how well you did. If I had a chance to modify my city to improve the way of living for the people, I would like to make a few alterations in the traffic rules. I think this would be the most important amendment for every one. Furthermore, I would like to improve the underground sewage system which is essential during the rainy season. This change will certainly help the city roads from getting over flooded during heavy rains. Every society have their own share of problems and difficulties but like the dawn after dust, opportunities to rectify them is also within our reach. Likewise, if I were given the authority to serve my community, I would propose improvements in many sectors. In particular, issues concerning youth related substance abuse and shortage of drinking water. Human community, with time, have organically grown by incorporating many developing ideas from within. Even though I wish for subtle modifications in my town, I believe these changes would make my town sustainable and environment friendly.